I don’t think there are lazy people in the world. I think there are impotent goals. Individuals that don’t succeed, in my opinion, have goals in life that don’t “get their fire going” or inspire them. One of my favorite books is Napoleon Hill's Think and Grow Rich .” One of the book’s most useful tips for me was to create a definite major purpose, write it down, and read it both morning and night. A strategy I challenge you to try is to not only determine what YOUR definite major purpose is, but also determine the absolute financial NUMBER you seek to achieve, and by when. For example, my personal financial goal is to save $3,500,000 in my 401k and IRA by the year 2045. I’ve elected to include this figure in my daily reciting of my definite major purpose as the mind has a very unique way of aligning behavior and performance behind definite “how much and by when” goals. Updating and seeing the progress being made toward my goal really charges my batteries and I recommend you incorporate something like this into your finances. 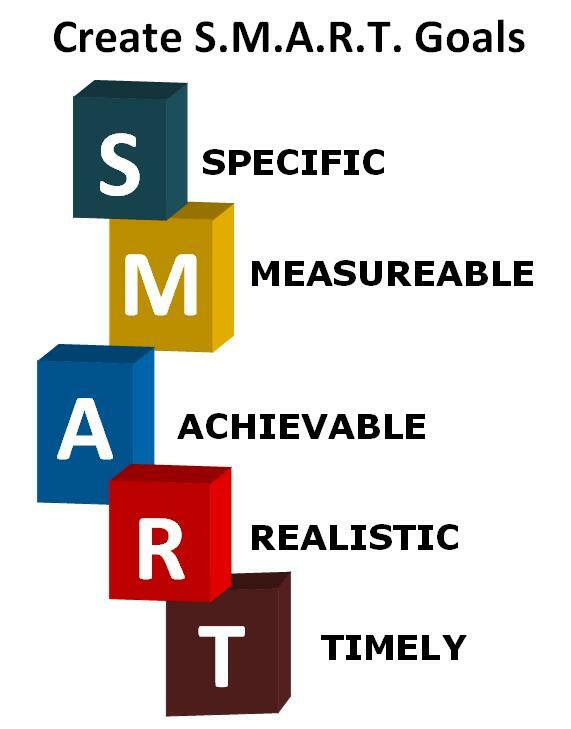 One of the best methodologies for attaining high value goals is the S.M.A.R.T. method. This acronym stands for specific, measurable, attainable, relevant, and time bound. My goal of $3,500,000 satisfies these S.M.A.R.T. requirements. How Did I Determine Savings Goal Amount? Because I am at least 30 years from retirement, any number I come up with is going to be just an estimation. I arrived at $3,500,000 by 2045 by trying to find out what a $50,000/year income would by in 2045 dollars. After crunching some numbers and allowing for a 3% inflation rate annually, I determined that I’d need to multiply $50,000 by 2.71 to get the income I’d need in 2045 to match $50,000 in 2012 dollars. This brought me to $135,500/year. Assuming the generally accepted 4% withdrawal rate in retirement, I concluded that a portfolio of $3,500,000 would yield approximately $140,000. I’d like to challenge you to SET GOALS AND TRACK YOUR PROGRESS - Set realistic net worth goals and track your historical progress. Are you getting ahead or falling behind? Create a Net Worth Statement (feel free to copy mine above) and update it regularly. Take pride and satisfaction in your financial accomplishment as you see your money grow. How do YOU use goals in your life? Do you have a “number” in mind that would satisfy your retirement needs? Please share your comments! The number I have in mind is $2 million, but I'm older than you. I certainly agree that SMART goals help motivate and keep us on track. I'll have to check out "Think and Grow Rich," sounds interesting. I typically keep my goals a little bit more short-term, but yes-- they are an important motivational factor for me. When we were getting out of debt, we set goals each month and they were a great help. 3.5 Million sounds ambitious. Its scary thinking that much money will be necessary for a comfortable retirement. I used to have no goals but even if you are doing ok you can do so much better with goals. This year I am trying to grow my NW by 30%! Crazy and not very SMART but reach for the moon land among the stars right? That's a TON of money. My goals must be SMART, otherwise I won't reach them. I know myself and I know that I just trail off of my goals if they aren't set up a specific way. The SMART method is a great way to set goals. I use this for myself and even my students. Goals become much more manageable if you track your progress.